A growing group of investors are looking for high performing companies with a solid sustainability profile. The DJSI enables investors to identify attractive investment opportunities that generate long-term value. Rating agencies are increasingly looking at the non-tangible performance of companies to evaluate credit risks. 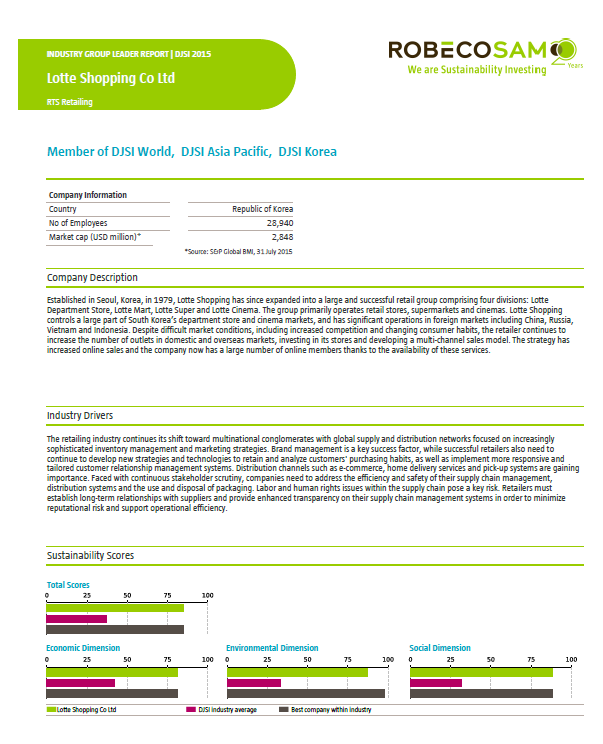 Sustainability performance – acknowledged through Inclusion in the DJSI - therefore has a positive impact on capital cost. The internal purpose of participating in the DJSI is to compare your sustainability performance with peers within and outside your own industry. The process of going through the questionnaire also serves as annual review to identify strength and weaknesses, identification of areas for improvement, and internal monitoring of progress and roadmaps. All SolAbility clients eligible for the DJSI World have become DJSI members – a 100% track record. 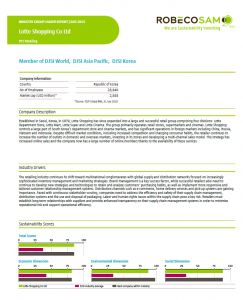 3 clients for which SolAbility has designed sustainability strategy and guided implementation have not only been included in the DJSI, but came out global industry group leaders for several consecutive years. If you need help for a rational and structured approach to the DJSI assessment, please contact us.